Maybe you’ve heard about the two brothers who won the same lottery together, or the New York city cop who shared a winning lottery ticket with a waitress. While entertaining stories, for sure, they don’t really elicit the same jaw drop reaction as the biggest lottery wins in history. In this article, we’re kicking things up a notch to deliver you the big numbers. And by big, we mean truly life-changing. These are the stories of the biggest, and luckiest, lottery winners of all time. On January 13, 2016, three tickets won the astronomical Powerball jackpot – which meant it had to be split three ways. 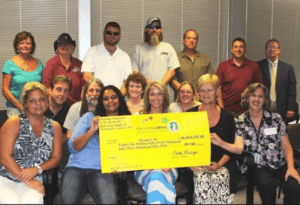 Two of the winning ticket holders, couple John and Lisa Robinson, and 70-year old Maureen Smith, came forward and claimed their winnings not long after the draw. However, it took the third ticket holders, Mae and Marvin Acosta, over 6 months to come forward and claim their prize. 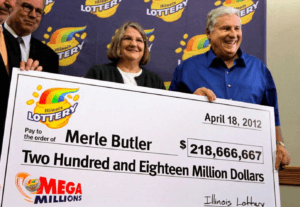 All three ticket holders opted to go for a lump sum payment and took home $327.8 million each, before taxes. On December 17, 2013, two people won the Mega Millions jackpot: Ira Curry of Stone Mountain, Georgia, and Steve Tran, a delivery driver from Northern California. Opting for the cash option, Ira received $120 million, after taxes. Interestingly, Ira’s winning numbers consisted of a combination of her family’s birthdays. All of this was pure luck and coincidence, of course, but it’s still a pretty interesting story. Here’s another interesting and hilarious story: Steve recounted how, after his win, he called his boss and said, “I hit the jackpot. I don’t think I’m going to come in today, tomorrow, or ever.” It was a pretty bold move, for sure. 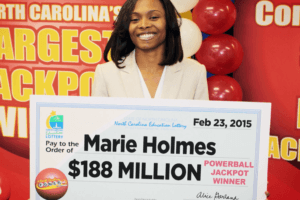 Gloria McKenzie, the biggest solo winner of a Powerball jackpot. 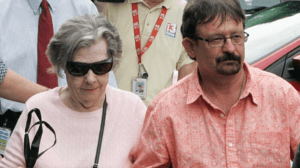 On the 18th of May 2013, 84-year old Gloria MacKenzie of Zephyrhills, Florida, won the nearly $600 million jackpot. She is now known as the biggest lottery jackpot winner who didn’t have to split the prize with someone else. Interestingly enough, the big win could’ve gone to someone else if the player in front of her hadn’t allowed her to go ahead of them in line. Gloria took home $278 million after taxes (the cash value of the ticket was around $370.9 million). 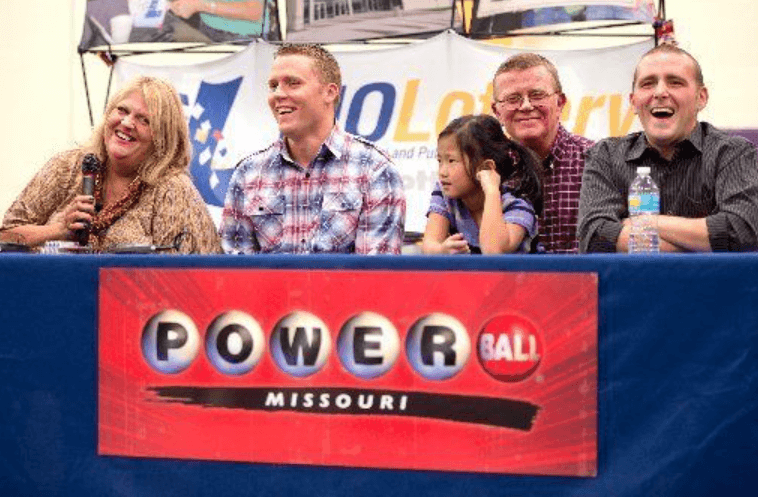 Two winners shared the pot when their tickets won on November 28, 2012: couple Cindy and Mark Hill of Missouri, and a then 37-year old Matthew Good of Fountain Hills, Arizona. Cindy and Mark once told their daughter not to get her hopes up for the simple reason that winning “probably never happens.” Lady luck sure showed them, huh? On February 11, 2015, it was another case of three winners splitting the half-a-billion Powerball jackpot. One of the winners was an anonymous player from Puerto Rico, while the second winning ticket was cashed in by an Andrew Weber, who was claiming it on behalf of a trust in Texas. The third one was single mom Marie Holmes of North Carolina, who used to work at supermarkets and fast food joints to support her children, one of which has cerebral palsy. 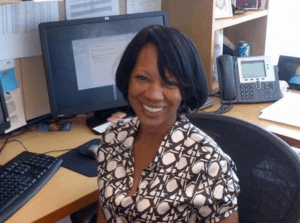 She planned on using the money to further support her kids – plus, she also wanted to finish college, support charities, and even buy her mom a new house. Definitely a deserving winner, if you ask me. An anonymous couple with two children won the aforementioned Mega Millions jackpot on July 8, 2016, in Indiana. They opted to go with the cash option of $378 million, and took home $271 million after taxes. For the July 30, 2016 drawing, a family from New Hampshire won the $487,000,000 Powerball jackpot. 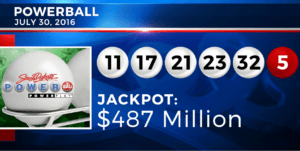 They opted to go for the $341.7 million cash option, which allowed them to take home $256.3 million after taxes. The family set up a trust so their lawyers could claim the prize for them while they remain anonymous. On August 27, 2013, three ticket holders won the $448,000,000 Powerball jackpot. The first two were Paul White, a Minnesota engineer, and South Brunswick resident Mario Scarnici, respectively. The most notable ticket holder was a group who called themselves “Ocean’s 16” as all 16 of them were victims of Superstorm Sandy. One of the more recent jackpot wins was on February 22, 2017, when a single winner from Indiana bagged the $435,000,000 Powerball jackpot. The winner, a man from Purdue University, chose to remain anonymous and had a representative claim the prize for him. He took home a lump sum of $189 million. The winning numbers were 10-13-28-52-61, and 2 as the Powerball number. There you have it! As you can see, the big winners are either Powerball or Mega Millions players – which isn’t a surprise. These two lottery games are some of the most lucrative lotteries in the industry, after all. So, if you want to get the chance to be among these millionaires, you might want to check out our TheLotter Review, one of the leading online lottery sites in the industry. They offer Powerball, Mega Millions, Euromillions, and a host of other lottery games. You might also like: The Biggest Lottery Winners: Where Are They Now?